The Netflix original documentary short film The White Helmets follows members of this organization. Through a mix of talking head interviews, with the members discussing their experiences and motivations, and candid footage of their daily lives, the viewer gets a multi-faceted view of the situation in Aleppo. The film makes good use of its dual-functioning format. The interviews are structured against the on-the-ground footage in a way that juxtaposes the static with intense, almost chaotic motion. Understandably, the film gets hard to see visually during the moments of crisis, as the camera flails about amidst the aftermath. But still, director Orlando von Einsiedel manages to capture beautiful images, even if one of those beautiful images is the slowed, cascading motion of two bombs falling from a plane to the earth. 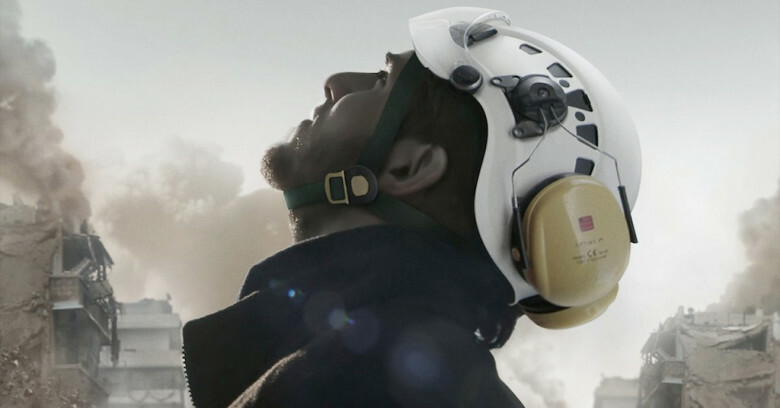 The White Helmets is informative and full of triumphant heart. Like its fellow Oscar nominee Extremis, the film puts its focus on the heroes of the world, people that spend their everyday lives saving lives. It is a subject worth covering in depth, and this doc puts itself out there as merely a portion of the struggle that the people of Aleppo face.